For seniors and for those helping aging relatives, there are many different issues which arise. The aging process can be a challenge, and health issues are much more likely to occur as people begin to get older. Seniors can often end up being hospitalized for serious health conditions and many seniors will eventually require nursing care or hospice care when they become unable to live independently and when caregivers are not able to provide care in a private home. It is always best to plan ahead for personal, financial, and medical emergencies by getting help from an experienced Naples, NY elder law professional. However, in an emergency situation, it is also important to know where to turn when decisions must be made quickly. These resources which are listed below will help you with making an advanced plan and with responding when a health crisis or emergency situation arises. These resources can also help you to learn about the benefits which may be available for seniors to take advantage of as part of the aging process. Feel free to browse the available resources and to contact The Law Office of Michael, Robinson P.C. if you need personalized assistance or if you ever have any questions about your own situation or about the situation of someone you love. It is important to know which court is the appropriate one to preside over legal issues that you need to address for yourself or for your family members. Surrogate courts handle probate matters, estates, trusts, and guardianship proceedings. The court in the county where the deceased or incapacitated person lives should preside over probate. However, if the deceased owned property in more than one county or state, multiple probate proceedings may become necessary. An attorney can help to determine where probate proceedings should take place. If you are required to seek emergency care in a hospital, it is best if you have an advanced plan in place to ensure that your wishes are known for medical care. 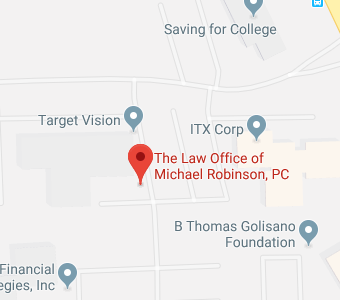 The Law Office of Michael, Robinson P.C. can provide assistance in creating advanced directives for healthcare. Choosing the right nursing home requires careful research to determine if the facility can provide an appropriate level of care. A Naples, NY nursing home planning lawyer can help conduct research and can provide assistance with making a plan to pay for the cost of care in a nursing home setting. A diagnosis of Alzheimer’s can be traumatic for patients and caregivers. Seeking appropriate support is essential. The Alzheimer’s Association can provide assistance finding local support groups in and around Naples, NY. The Alzheimer’s Association of the Rochester and Finger Lakes region also offers advice about local services within the area while the Catholic Courier provides a list of caregiver support groups in and around Naples and surrounding locations. The National Parkinson Foundation can provide assistance in finding support groups in your local area for those who are diagnosed with Parkinson’s disease. The Parkinson Foundation also has a Greater Rochester chapter which has organized groups for different individuals including caregivers and those with young onset Parkinson’s. Veterans may be eligible for many benefits programs, including community-based healthcare services, medical foster care, and residential nursing care. Understanding benefits is a challenge but a Naples, NY elder law attorney can provide comprehensive advice to veterans in understanding all of the different services and programs they are entitled to take advantage of as a result of their service record, age, income, and health status. Medicare provides health insurance coverage for seniors 65 and older. Medicaid provides services for those with limited incomes and few resources. Medicaid pays for the cost of nursing home care, which Medicare and most private insurers will not cover. Medicaid coverage is restricted to those who have few resources and whose incomes are limited. With help from The Law Office of Michael, Robinson P.C., it may be possible for you to structure asset ownership to avoid having to spend down assets prior to being declared eligible for Medicaid. Finding the right funeral home is a challenge for families. The New York State Department of Health offers a Consumer Guide to Arranging a Funeral. Legacy.com also provides a list of obituaries at upcoming funeral homes in the Naples area including The Baird-Moore Funeral Home. Are You Ready to Work with an Experienced New York Attorney? There is no substitute for legal advice when it comes to exploring available benefits and protecting the rights of nursing home residents. The Law Office of Michael Robinson, P.C. can provide the comprehensive help you need when planning for your own golden years or when trying to help an aging loved one. Give us a call now to learn more.